Chad sent us a report today that they have been receiving strange eFax messages. 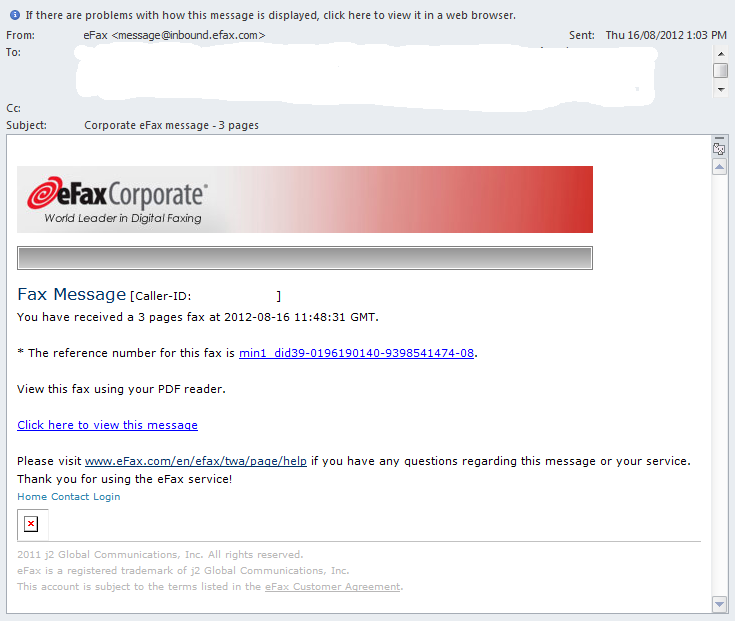 Users who are using eFax are receiving "spear phishing" emails. We are looking for additional information that could help us understand if this new "spear phishing" method is widespread. If you have been receiving similar messages or have any tips on how you managed to filter this type of activity, please use our contact form, or share in the comments below.